A look at Trowbridge Town Hall Clock on Saturday 4th August 2018. 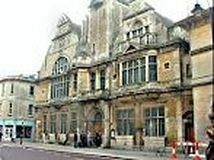 Trowbridge Town Hall, Wiltshire, was presented to the residents of the town by a local businessman, Sir William Roger Brown in 1889, to celebrate Queen Victoria's fiftieth year on the throne. The clock was supplied by J.W Benson Ltd. who held royal warrants for Queen Victoria, the King of Siam, and the King of Denmark. 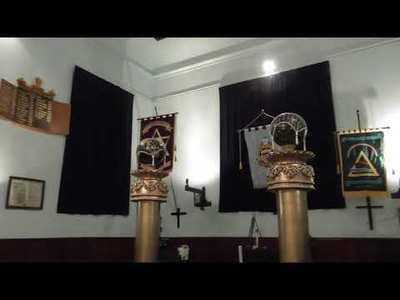 There are three bells in the chiming chamber above the clock, which sound the hours and the quarters. ​The Geograph® Britain and Ireland project aims to collect geographically representative photographs and information for every square kilometre of Great Britain and Ireland, and you can be part of it. Appended To this slideshow is a list of over 80 pubs. Some are older and have been around since the early 18th century and some are on new housing estates and are therefore fairly modern but sad to say only about 30 of these are still open, and even some of them are in trouble and may close.This album of pictures is only of the pubs that are (or were) actually in the town of Trowbridge. 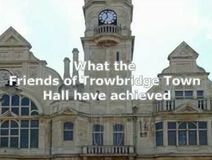 ​​The very early days of the project to restore Trowbridge Town Hall. A brief summary of just some of the things that the Friends of the Town Hall managed to do. 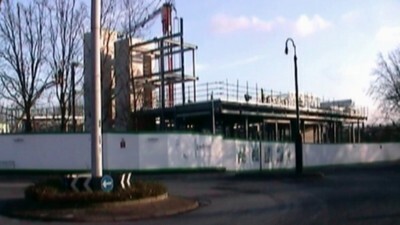 The building of Tesco, the bridge and the petrol station in Trowbridge, Wiltshire in 1992 and 1993. 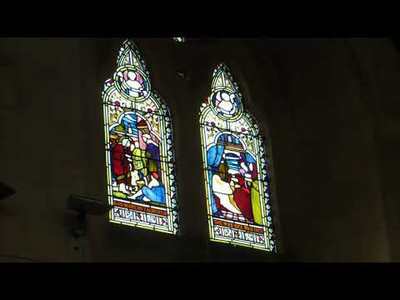 The music is by Ian K. Clark, from his 1999 album "HEAVEN, EARTH AND EVERYTHING IN-BETWEEN." I thank him for letting me use edited sections of it. 1 Innox Riverside development, Trowbridge, Wiltshire. Council planning refusal protest walk. Residents of Trowbridge have united to organise a public march in support of Innox Riverside this Saturday (7 July 2012). Supporters marched to County Hall where speeches were given. This was a truly unique event, showing that Trowbridge residents want to take the future of Trowbridge into their own hands and reverse the decision by Wiltshire Council to turn down Innox Riverside Development. 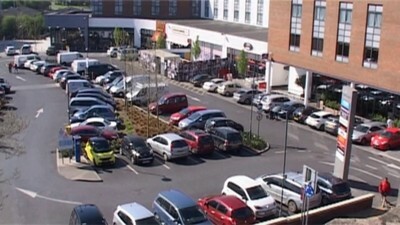 This short film is a personal documentary about the ongoing battle between Council planners, developers and the public. It covers a basic history of the Planning application, acceptance, rejection, protest march, petition, signatures etc. The facts and figures are to the best of my knowledge correct. It isn't sponsored by any companies. I created this film to help others understand what is going on, how it affects the town, how much locals the want it to happen and what is being done/can be done to help. 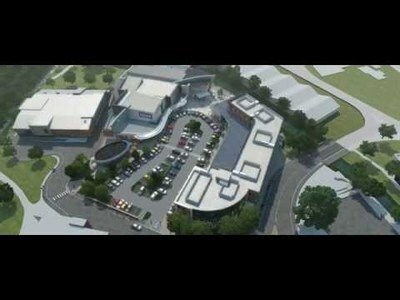 Hi, this is the third short film, updating the progress of the ongoing battle with Wiltshire council to get planning permission for the redevelopment of the former Bowyers site in Trowbridge. Please don't confuse this development with the St Steven's Place development, this has nothing to do with that development. ...... and a reminder from Aardman what used to happen here. Aardman do something they don't normally do and combine claymation with retro-style hand-drawn. Directed by Mike Smith at Felix Films with claymation production by Aardman. The original Spitfire manufacture took place in Southampton, but this location made it vulnerable to enemy attack. It was decided to disperse Spitfire production to Trowbridge, Salisbury, Reading and Newbury. To start with, production was set up on the old Boots site in Fore Street, at Bradley Road, near the car wash, and Barnes steamroller works in Southwick. These makeshift factories manufactured parts for a couple of years until a large purpose-built factory was constructed in Bradley Road. This enabled complete aircraft to be produced in Trowbridge for the first time. 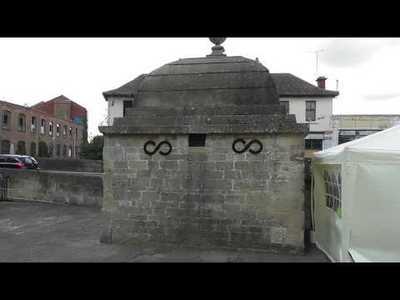 ​A project by Wiltshire College Trowbridge students. Movie Palaces #96 - A brief visit to the GAUMONT, 27 Fore Street, Trowbridge, Wiltshire - the enlarged site of the original Palace Cinema. Opened in November 1937 by Gaumont/Albany Ward-PCT. Architects W. E. Trent and W. Sydney Trent. 1220 seats, 860 stalls and 360 balcony. ​This 5 minute film visits Larkrise Community Farm in West Ashton, meeting some of the people and animals that make it such a special place to work and learn. Initial plans. This video has no sound. The proposal for St Stephens Place, Trowbridge received planning consent .The £12m scheme comprises a seven screen Cinema (27,000ft²), 80 bed hotel and seven family restaurants with extensive landscaping and creation of a new riverside walkway. Works started July 2012. The videos show the stages of the development, and and then concentrate on the cinema. The Ushers brewery move from Trowbridge to North Korea. Ushers of Trowbridge was a brewery in Trowbridge between 1824 and 2000. A tour of Trowbridge park by drone. ​Friends of Trowbridge Park: a group formed in 2014, to maintain and improve Trowbridge Park, and to help transform this space which has a great heritage, into a destination befitting the County Town of Wiltshire. It is a complete reconstruction of Trowbridge Castle based on scientific archaeology studies. The historical site was surveyed and a detail map was created based on structural remains. Detail measurements were also taken of the surrounding terrain. The biggest challenge of this project was the detail reconstruction of the terrain based on this scientific data.The building material and construction techniques were derived from the excavation and from similar historical sites. This information was used to reconstruct the Saxon hall and church.